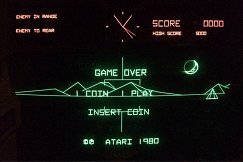 I acquired Battlezone about five years ago and put it in storage. After removing the game from storage and prepping it for restoration I was horrified to learn that an animal had used the power brick as a nest. What a mess! 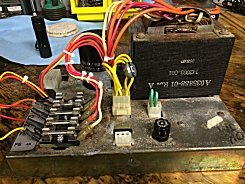 After extensive cleaning and disinfecting, I replaced the bridge rectifier, various wires and all the fuse connections as well as the fuses. 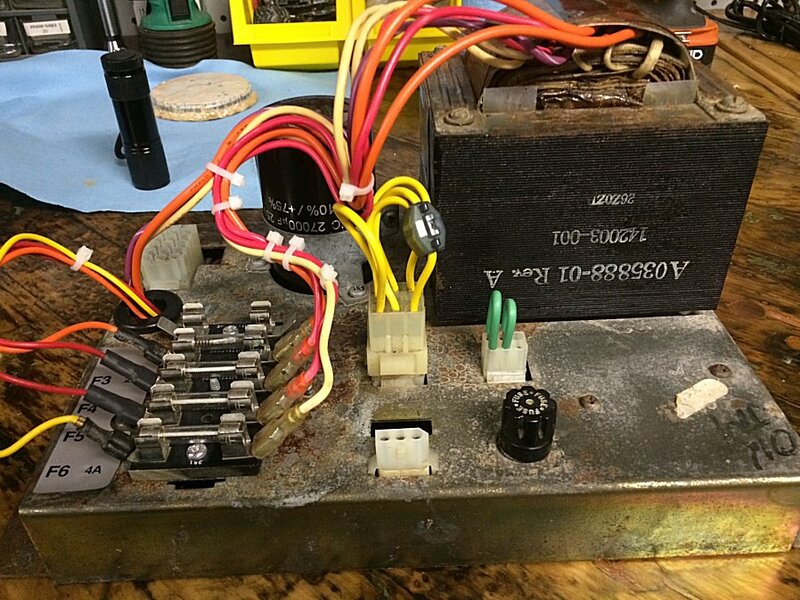 The power brick was then retested and found to be functioning. 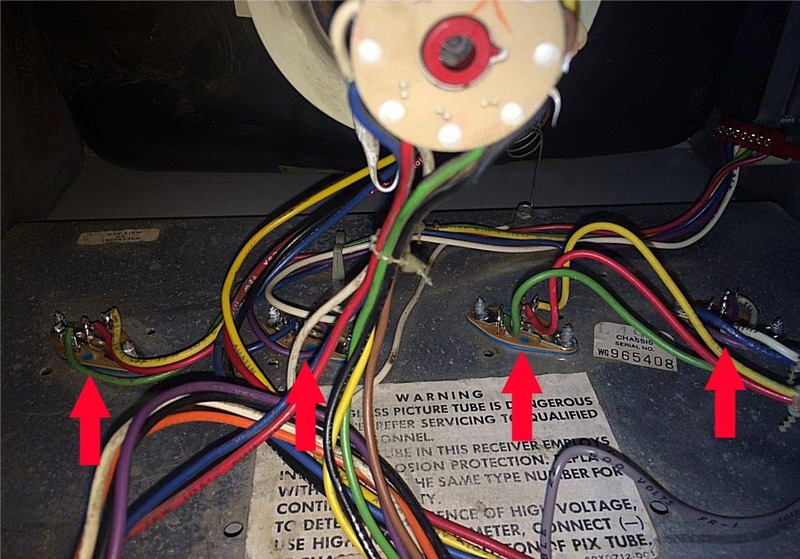 The two 'looped' green wires inserted into the molex for the interlock switches are required to test your power brick 'outside' of the game cabinet. 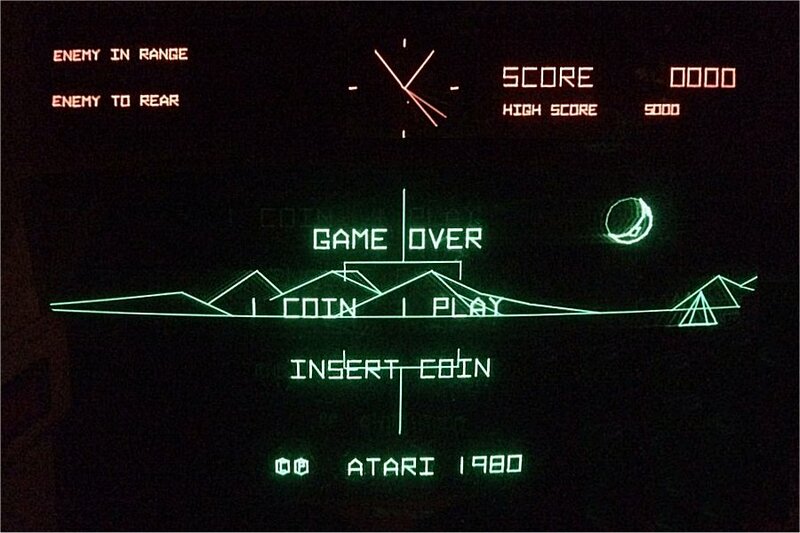 Since this particular Battlezone is an International version I couldn't just switch power bricks. 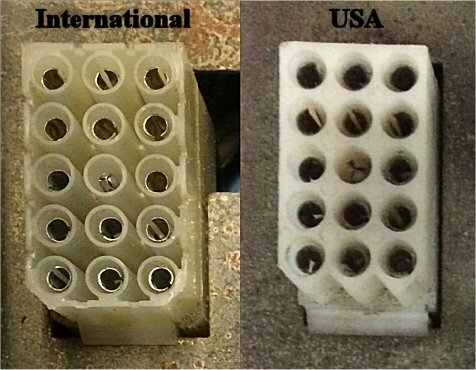 The main difference between an International power brick and one made for the United States is the molex connector for the main wiring harness. After the power brick was restored and reinstalled it was time to further test the game. The next obvious issue was vertical as well as horizontal collapse of the image being displayed. At various times the screen would display half a picture, a single line or nothing! The first repair was to to investigate the solder on all the header pins on the monitor chassis. 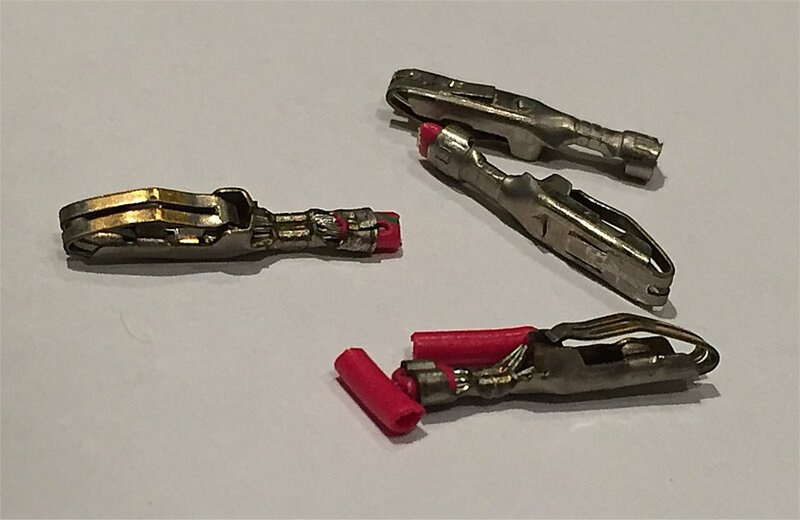 The original solder was completely removed and replaced with new. This improved the picture slightly but I was still having intermittent horizontal and vertical collapse on the monitor. I next checked the four TO-3 power transistors and sockets on the monitor frame. They were VERY crusty and appeared to be in terrible shape. 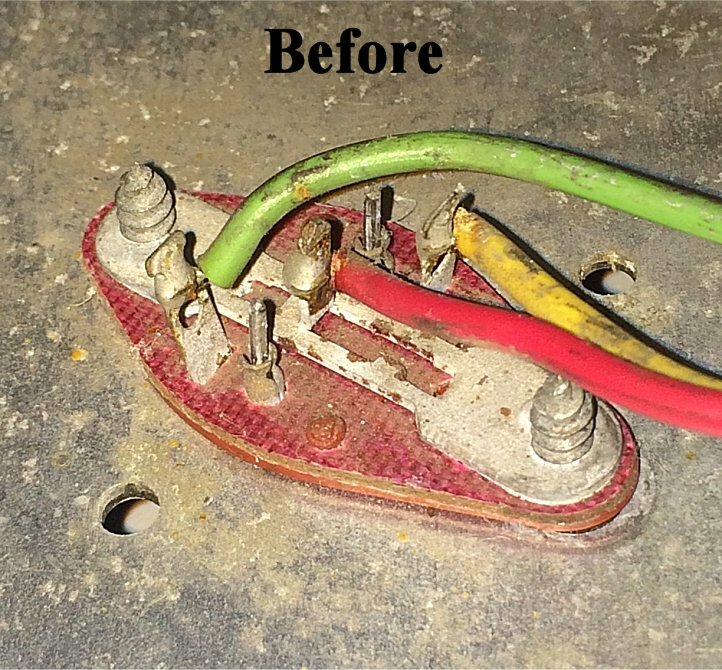 Each of the sockets were replaced along with new mylar insulators as well as fresh heat sink compound. 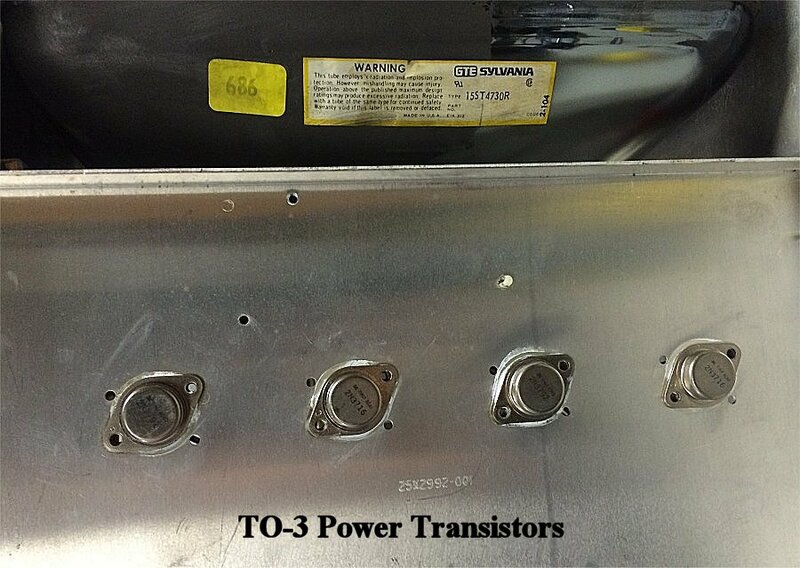 Four new power transistors - two 2N3716 (NPN) and two 2N3792 (PNP) - were then installed. Since the monitor was already out of the game I took the time to do a cap kit. Once all of that was complete I reinstalled and retested the monitor. The picture looked great! 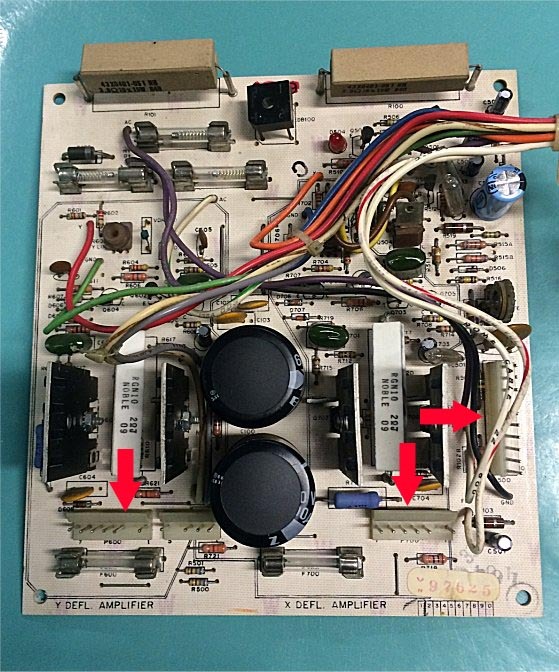 I noticed that both the main and the auxiliary PCB were having intermittent problems with the 5 volt line. 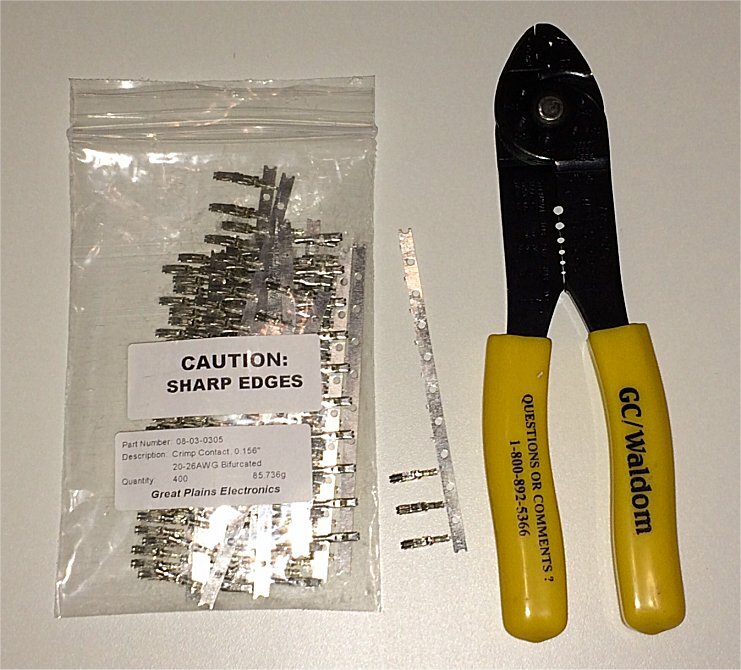 The problem was traced back to a faulty edge connector. You could actually see the on-board 5 volt LED blink or dim as the edge connector was wiggled. 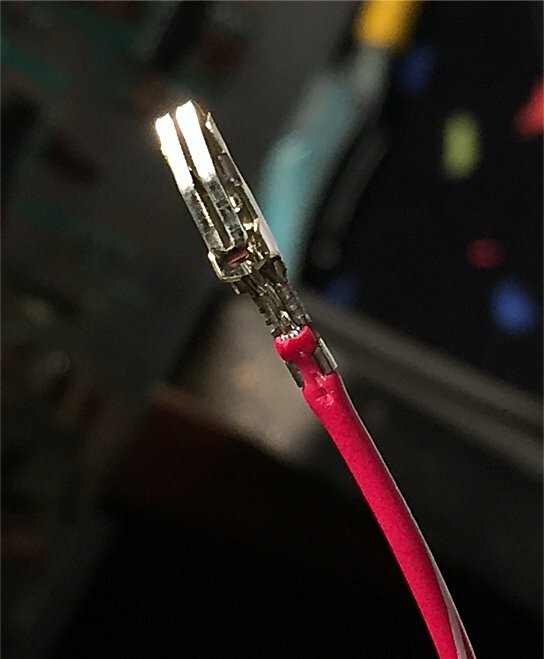 This is a common problem with most arcade games as the edge connectors are 35 to 40 years old and the 0.156" bifurcated crimp pins lose their ability to put pressure on the PCB edge connector pads. 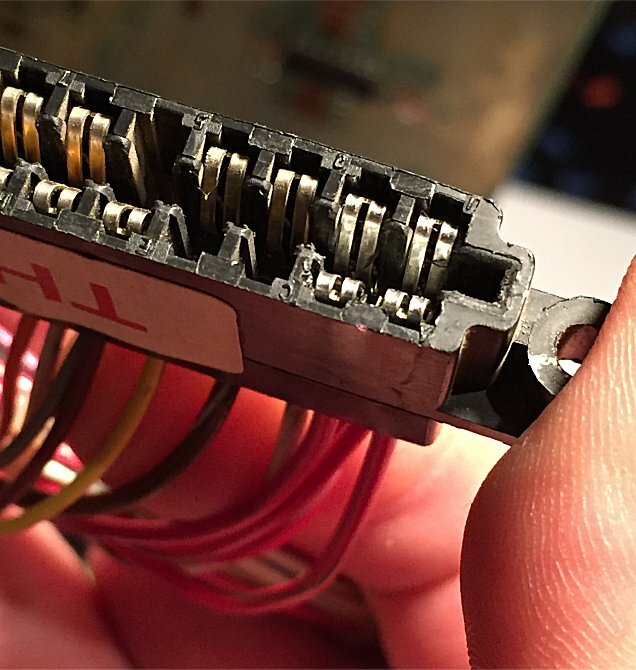 Each faulty pin has to be extracted from the molex, cut from the existing wire and a new pin was crimped into place with a special crimping tool. 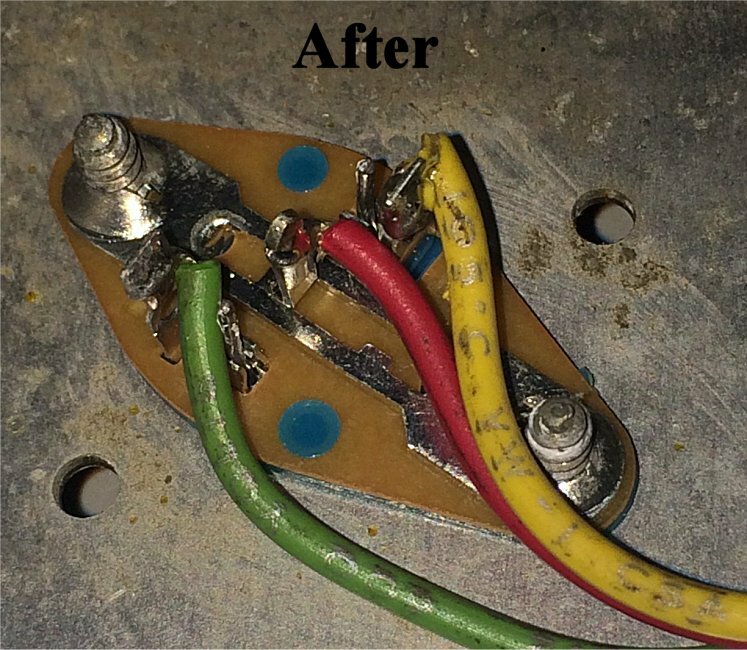 With all of the 5 volt line crimp pins replaced a solid connection was created! Finally, I did the SENSE Mod to the power supply board. Battlezone is now combat ready!